Commonly known as the “rainbow” salad, this is a refreshing bowl that can be served as a side dish or a main meal. Commonly known as the “rainbow” salad, this is a refreshing bowl that can be served as a side dish or a main meal. It has the perfect balance of flavors and can be eaten at any time of the day. So if you are interested in making this bowl of salad with crunchy romaine lettuce and healthy sunflower oil, here is the recipe. 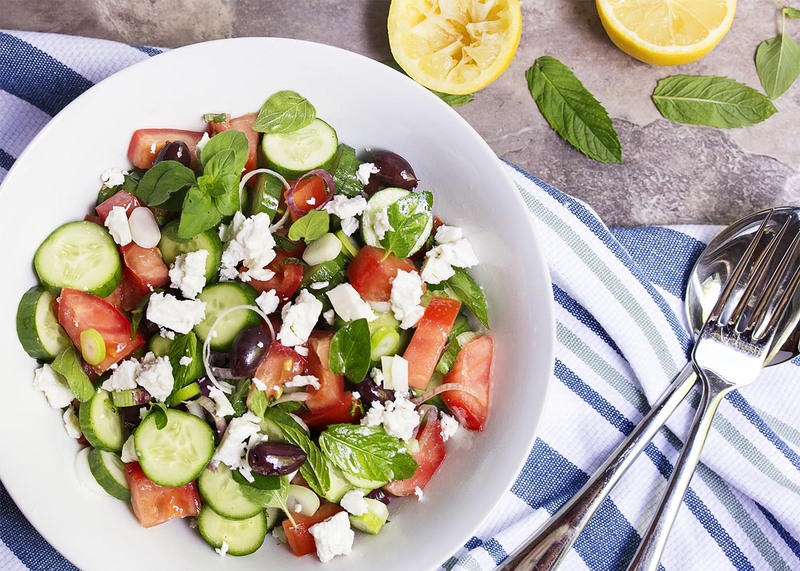 To make the salad, use a large bowl to combine the romaine lettuce, cherry tomatoes, cucumber, bell peppers, onion, fresh parsley, olives and the creamy feta. Toss these ingredients together and set it aside to prepare the Greek vinaigrette. For the vinaigrette, combine the ingredients in the recipe list with the sunflower oil in a measuring cup. Whisk or stir until the ingredients are well blend. Add more vinegar or honey to tame the dressing, as per your taste. If you are serving this bowl of salad immediately, drizzle the dressing generously to coat the salad and slowly toss to combine all the flavors. You can always add elements to this salad recipe as you wish. Chickpeas transform this salad to a complete meal. All you have to do is add 1 ½ cups of either cooked or canned chickpeas at the first step of this recipe. The options are not limited to just chickpeas, and that’s the beauty of this recipe. This salad can be customized as per your choice of taste.